Strange Life of Ivan Osokin by P. D. Ouspensky follows the unsuccessful struggle of Ivan Osokin to correct his mistakes when given a chance to relive his past. The conclusion fully anticipates the Fourth Way Philosophy which typified Ouspensky’s later works. The Magician, a minor but important character who makes appearances at the beginning and end of the novel, is more than possible reference to Ouspensky’s teacher Gurdjieff. 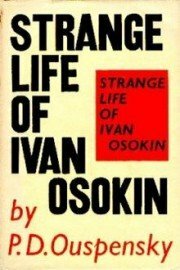 The unsuccessful struggle of Ivan Osokin to correct his mistakes when given a chance to relive his past.